This is a call to all those millions of people in Britain who face an impoverished and uncertain year as their wages, jobs, conditions and welfare provision come under renewed attack by the government. 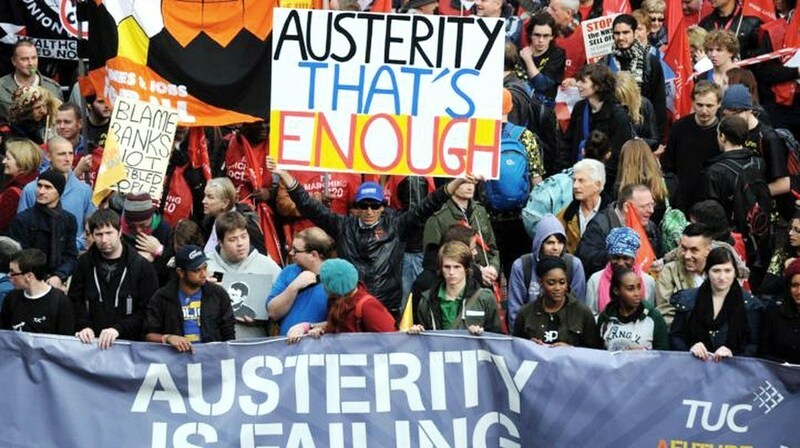 With some 80% of austerity measures still to come, and with the government lengthening the time they expect cuts to last, we are calling a Peoples Assembly Against Austerity to bring together campaigns against cuts and privatisation with trade unionists in a movement for social justice. We aim to develop a strategy for resistance to mobilise millions of people against the Con Dem government. The assembly will provide a national forum for anti-austerity views which, while increasingly popular, are barely represented in parliament. A Peoples Assembly can play a key role in ensuring that this uncaring government faces a movement of opposition broad enough and powerful enough to generate successful co-ordinated action, including strike action. The assembly will be ready to support co-ordinated industrial action and national demonstrations against austerity, if possible synchronising with mobilisations across Europe. The Peoples Assembly Against Austerity will meet at Central Hall, Westminster, on 22 June. This entry was posted in Uncategorized on March 17, 2013 by Bridgend's Green Leftie.